USB Memory Direct Sponsorship - Gonzales Photography Inc.
Jul 16, 2018 | By: Gonzales Photography Inc. In 2009 at my first ever workshop I met a lot of influential people in this industry and they told me that they were going to be keeping an eye on me. I asked why and one of the representatives stated "Because your imagery is going to take you places and is going to get you noticed!" As I walked away from that representative I questioned what exactly he was in me and my imagery? Today in 2018 I have not only made an impact in the industry but also on other photographers who are passionate about learning what I have to offer. I teach independently as well as for an organization that I am very passionate about called the Professional Photographers of America (PPA). 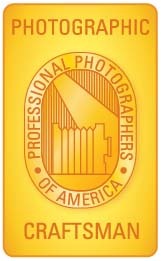 My first accomplishment with the PPA was obtaining my Certification as a Professional Photographer. Being only 1 of 11 fully Ceritified Professional Photographers in the entire State of New Mexico I was able to separate myself from other competitors. This also allowed me to meet other influential people in this industry who would further accelerate my growth as a photographer but also to obtain sponsorships. I began to educate others by offering mentorships to teach them everything from business, sales, marketing and the highly technical aspect of photography. Year after Year I educated photographers of all levels by instructing and coinstructing PPA's Super One Day education campaign events. These events are what is required to obtain a degree with the organization and by teaching others I was awarded my first degree as a Photographic Craftsman. This degree also showed the industry that I am a professional photographer and not just a guy with a camera. The Photographic Craftsman Degree is one of the highest recognitions for speaking, writing and/or mentoring in photography. This year I was approached once again by a reputable company in the digital industry by offering high quality custom flash drives. USB Memory Direct is a leader in the photographic industry and serves other industries well. They are based out of Cooper City, Florida and offer different styles of flashdrives which you can check out here https://www.usbmemorydirect.com. Here are a few examples of what they offer. I want to give a big THANK YOU to USB Memory Direct, Taylor Chastain and all of the people over at USB Memory Direct for sponsoring Gonzales Photography Inc. Don't forget we service Las Cruces, Albuquerque and Santa Fe, New Mexico as well as El Paso, Texas. Come out and see us on July 22, 2018 at the El Paso Convention Center for the Bridal and Quince Expo. Make sure to turn on your bluetooth, location and google nearby where we are going to be giving you an opportunity to add on 3 unique items to your Wedding Collection. You must notify us and show us the message on your ANDROID Device at our booth before booking! Allison Anderson - Love the wooden USB boxes! Branding is such a huge part of making your photography stand out! Ryan Gonzales - Thank you I appreciate it! Gillian Foster - Your branding is so cohesive! This is such a nice finishing touch to your work. Ryan Gonzales - Thank you Seraphine it is greatly appreciated. Seraphine - What beautiful flash drives. You have done an amazing job in the industry not just as a photographer but as a mentor. Keep up the great work. Ryan Gonzales - Thank you Andrea it is greatly appreciated. andrea - Your designs are impressive as your career path. Congrtant and keep it up! Ryan Gonzales - Thank you for your comment. Let me know if I can offer any assistance I am a liaison for CPP. Ryan Gonzales - Thank you they are just one of the many sponsors I currently have. Kimber - Great job, congrats! It's one of my goals to become certified in the next year. Rachel Kunzen - Congratulations! That is so awesome! It’s so inspiring to see how your effort and dedication over time has allowed you so many new opportunities. :) Those USBs are beautiful by the way!